This graph shows the total spending numbers in the upcoming U.S. 2012 elections between Barack Obama and Mitt Romney, by major category. The data includes money by DNC and RNC, campaign, super PACs, and other sources that don't have to disclose their fundraising. 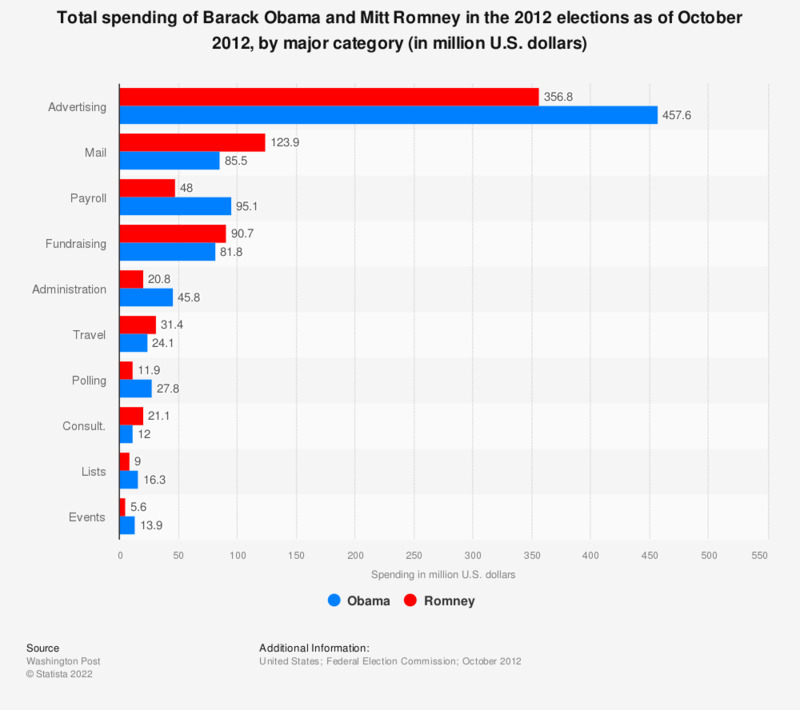 Obama outspent Romney on advertising as of October 2012, having spent about 458 million U.S. dollars on ads. Total spending numbers include money by DNC and RNC, campaign, super PACs, and other sources that don't have to disclose their fundraising. How confident are you that Robert Mueller's investigation into Donald Trump's ties to Russia is fair and impartial?